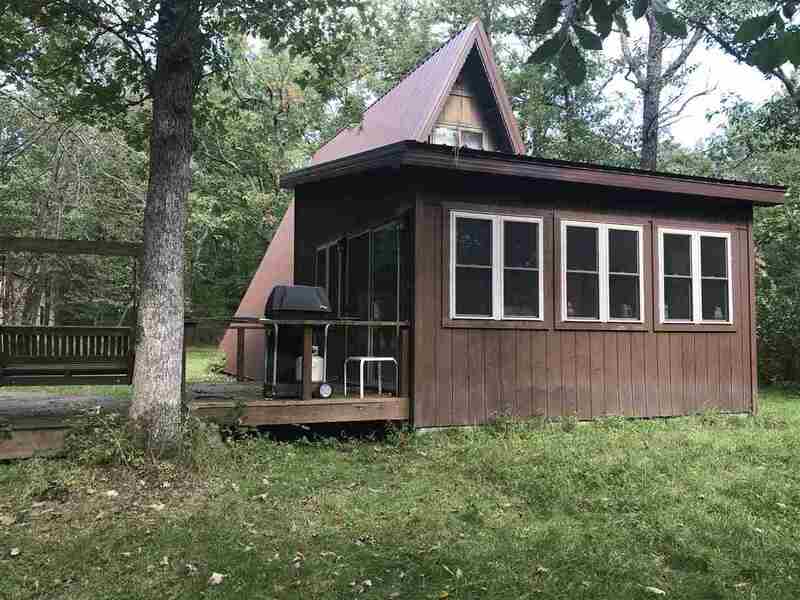 Affordable vacation A-Frame getaway with addition. New metal roof. Large living room, wood stove, and lots of windows. Patio door out to the back. Pole shed awaits your toys deck and fire pit. Features comfy living area with combined dining, upper level loft providing 2 separate sleeping areas. 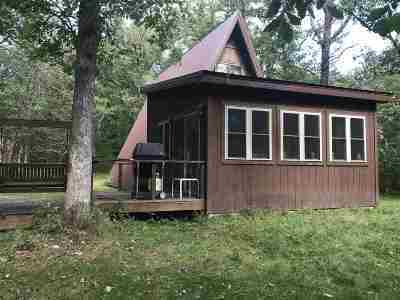 Set on beautiful wooded lot of oak and white pines. Comes with access to the little Roche-A-Cri Creek at the dead end of your road. Only 10 minutes to the Castle Rock Lake boat launch. Directions: From Adams- Hwy 13 N To Cty R J W To Cty Rd N To Czech Dr Follow To 16th Ave Left.